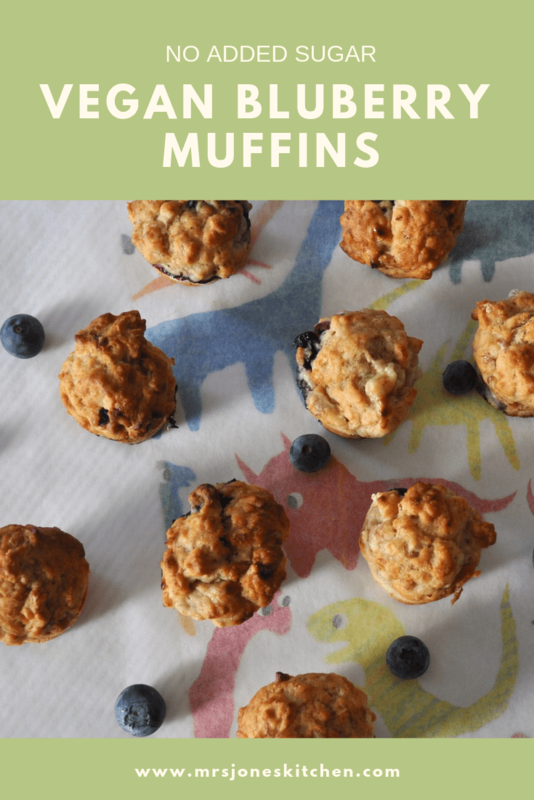 These vegan blueberry muffins went down a storm with all of us. Although we aren’t vegan, I like to challenge myself to cater for different diets, as I know there are many people living with serious allergies, and I have always had to be careful what I eat. I also like to have a selection of recipes on hand that I can use when I – inevitably, it seems these days – don’t have a vital ingredient. The muffins don’t contain any added sugar as they are sweet enough from the banana. In a mixing bowl, combine the plain and wholemeal flours, oats, baking powder, bicarb, and cinnamon. In another bowl mix the milk, olive oil and mashed bananas together. Lightly stir this mixture into the dry ingredients taking care not to over mix (I’ve found it’s better to have a few lumps in the batter, otherwise the muffins can be tough). Take teaspoons of mixture and pop into mini muffin tin. Leave in tin for a minute or two before transferring to wire rack to cool completely. Keep in airtight container for 3 days. 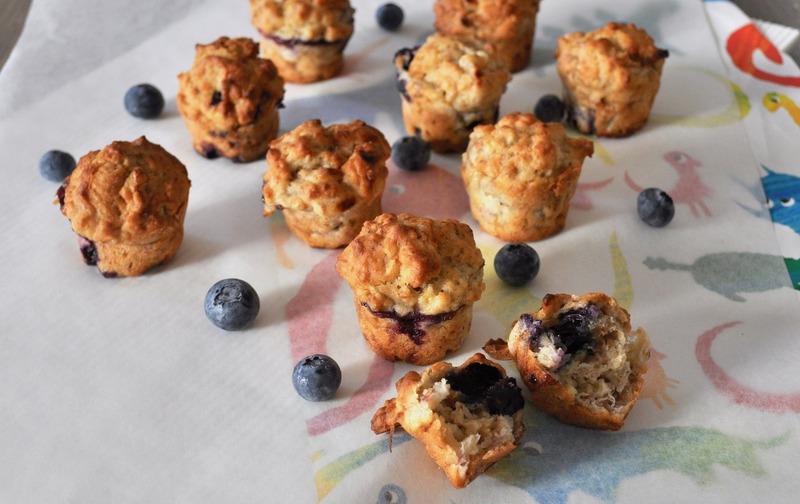 The muffins also freeze well and defrost quickly - making them great for last minute snacks! If you don't have any frozen blueberries, use fresh instead, but check the muffins after 17 minutes.